Here as a volunteer blogger for the SEPA chapter, I’m getting a chance to learn some of the things that the Red Cross does that don’t make it onto your local news but does make an impact on people’s lives. Whether it’s mental health volunteers helping out in Colorado or the SEPA Communications team being the first on the scene to help survivors access the help they need following a fire in Philadelphia, I’m also learning that the hundreds of Red Cross chapters nationwide and their volunteers adhere to one vision and one mission. 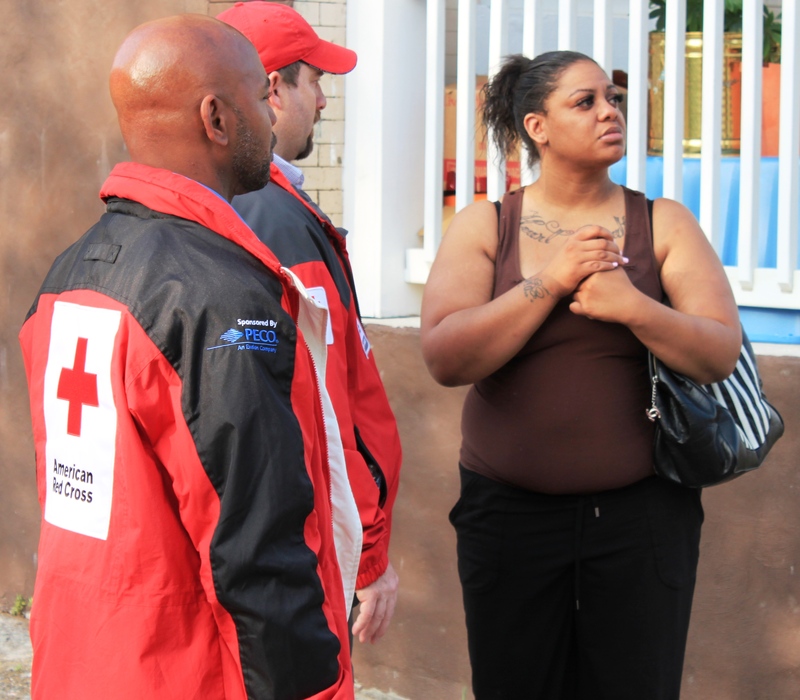 Two Red Cross Southeastern Pennsylvania workers console a woman displaced by a fatal fire in West Philadelphia. 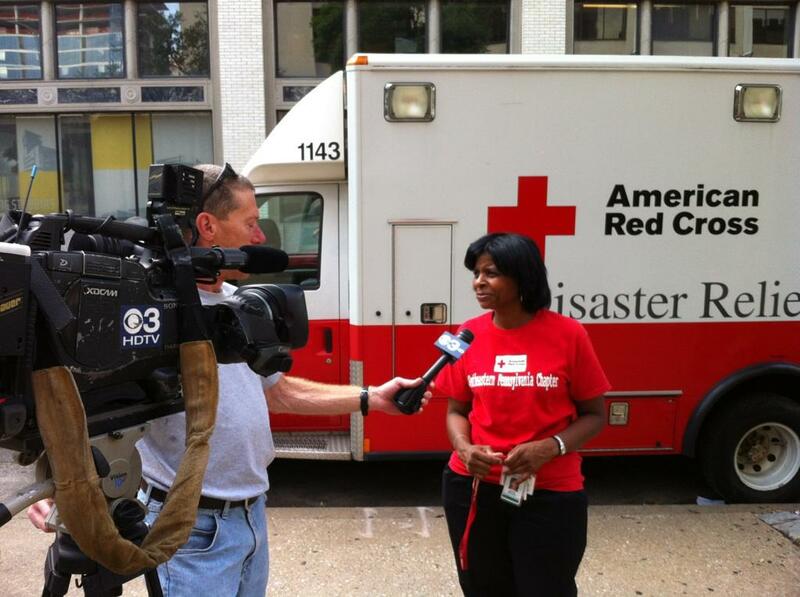 …..in an emergency, there are always trained individuals nearby, ready to use their Red Cross skills to save lives. Both are daunting tasks and responsibilities. Yet both were demonstrated during the number of tragedies this past summer. Tragedies that ranged from but not limited to house fires, water main breaks, and some natural disasters on the local level as well as wildfires and mass causality crises on the national level. 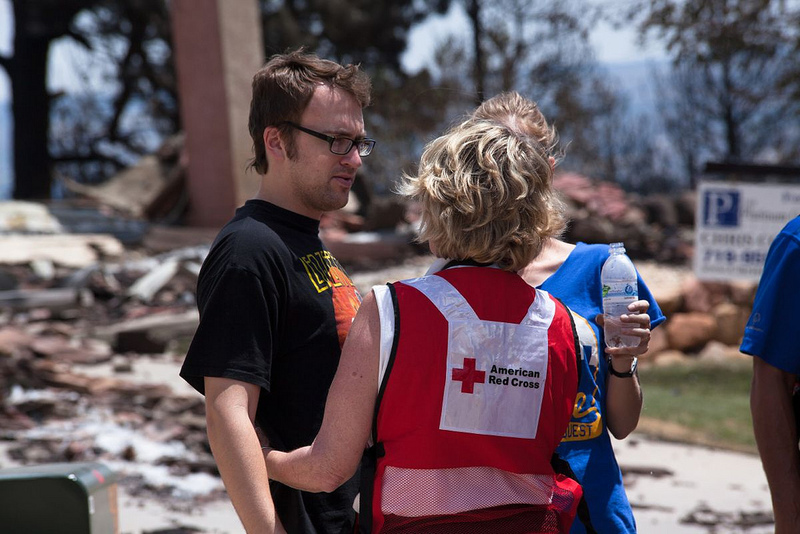 American Red Cross Southeastern Pennsylvania mental health volunteer meeting with a man displaced by the Colorado wildfires. Through them all, the American Red Cross was there to help and through their actions I begin to realize how volunteers live the American Red Cross mission and vision everyday. A disaster and media response coordinated 140 characters at a time. Most people would agree social media has great value during large scale disasters. I can tell you first hand about the countless times I used social media to spread the word about thunderstorms, tornadoes, blizzards and fires to thousands and thousands of people at once. But few can see the value in social media for the smaller scale disasters, like a single home fire or when a car crashes into a house. You may be thinking “Car into House, that’s random.” Maybe so, but that’s exactly what happened last night and what I want to use to demonstrate the important role social media can play even during a small disaster. 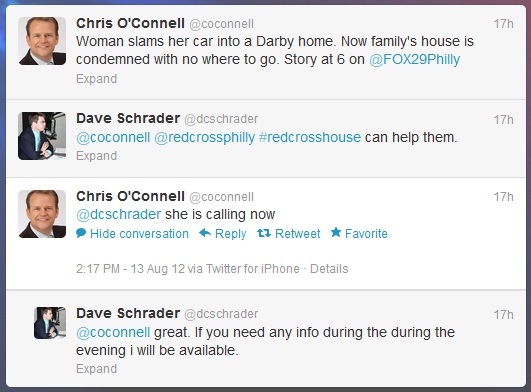 Yesterday afternoon I saw a tweet from Fox 29 reporter Chris O’Connell that he was working on a story for the 6pm news about a family forced from their home after a car smashed into their house. 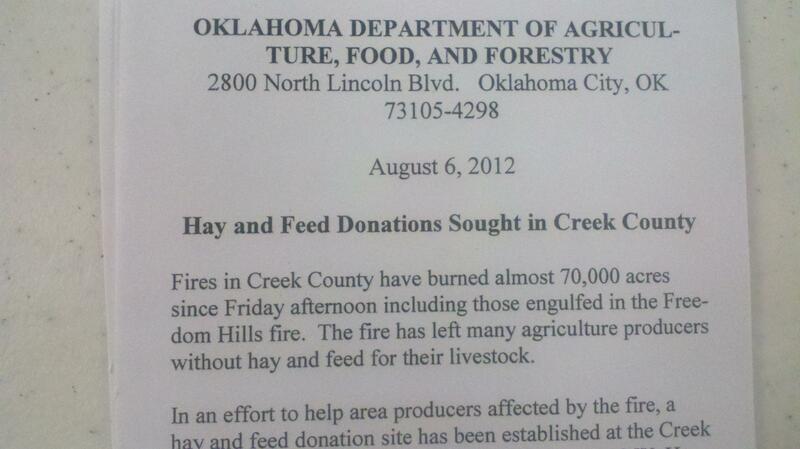 I emailed Chris with information on how the family could get help from the Red Cross. I didn’t get a response right away. 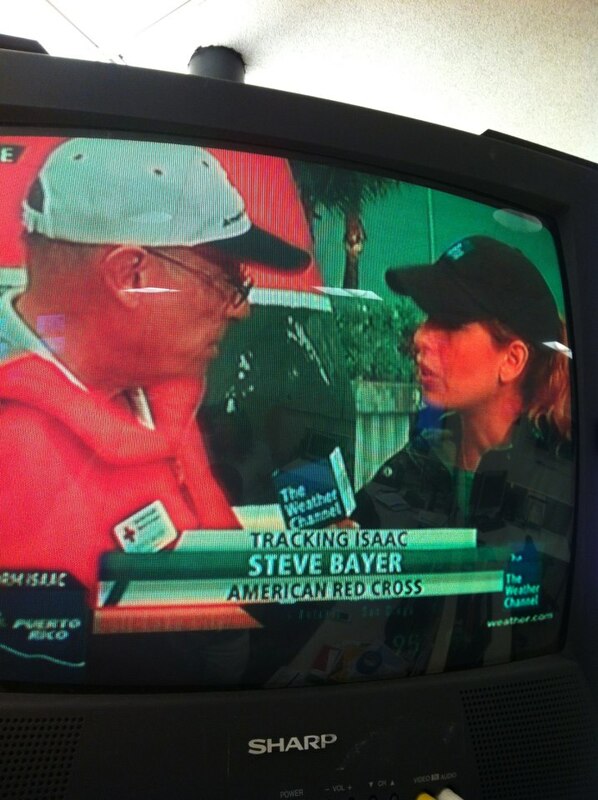 Since I wanted to make sure the family got help as soon as possible and seeing the possibility the Red Cross would get positive news coverage (I am the Communications Director after all), I got impatient. So I replied to one of his tweets saying the Red Cross could help. I got a tweet back a little while later from Chris saying the family was calling for help now. 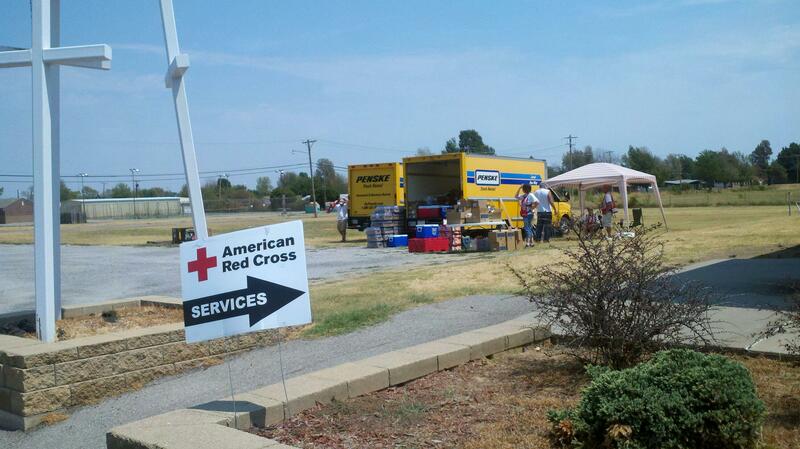 Our emergency response center (We call it the Bridge) dispatched a team immediately and help was soon on the way. That was a very gratifying tweet to read. It may be a small thing to just about everyone else, but a big deal to me. The family was very upset. 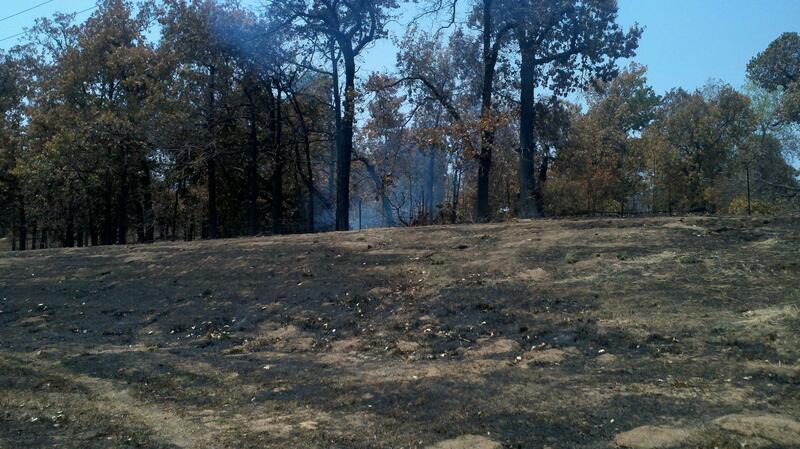 Their reaction was typical of what our volunteers see everyday after a fire or other disaster. It’s very traumatic to lose your home and the uncertainty that comes with it. And even though the Red Cross couldn’t fix everything, it could provide some comfort, some hope, in what can seem like a hopeless situation. I’ve included below an edited version of how Chris O’Connell’s 6pm and 10pm stories turned out and the prominent mention the Red Cross got in them. But the most gratifying part was not the publicity we got, but rather, the knowledge that the family last night and for many nights to come would be staying at our one of a kind Red Cross House – Center for Disaster Recovery with a roof over their heads, clothes on their back, and food in their stomach — soon to be on the path back to independent living, thanks to the Red Cross. Are you ready for change? Well, here at the SEPA Chapter, the office has been a buzz, enamored with and swamped preparing for the unveiling of the new Red Cross website. 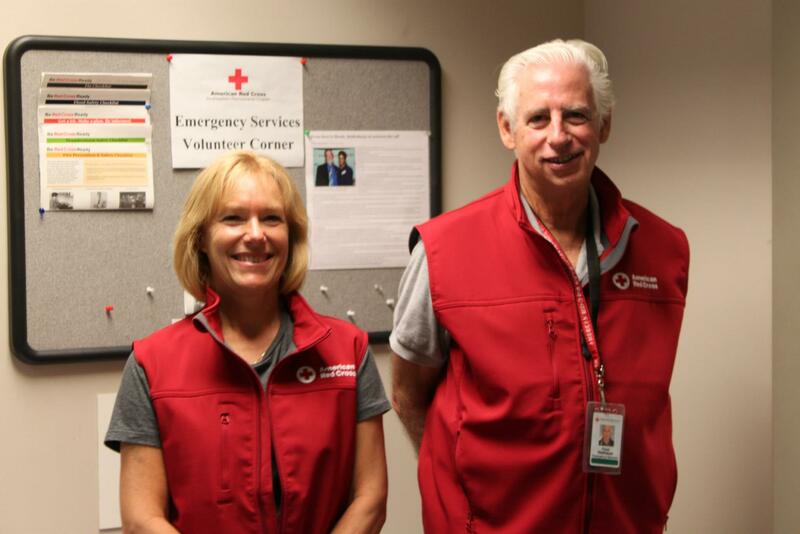 In an effort to make the Red Cross chapters more uniform nationwide, the Red Cross’s website will undergo a few modifications and the SEPA chapter will be a pilot chapter for this redesign. Without losing the qualities that make it so user friendly, you’ll still be able to sign up for classes, volunteer, make a donation, get help and interact with us on the site. 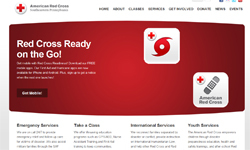 And don’t worry, the domain name you have embraced and grown to love: RedCrossPhilly.org will remain the same but like a wardrobe change the web page will be fashioned with a new look. So expect the same content, the same availability of features but only with an updated design. It’s been in the works for quite some time, with you the user in mind and we are very excited about it. Our new website makes its debut next week. So be on the lookout for it. (preview below). 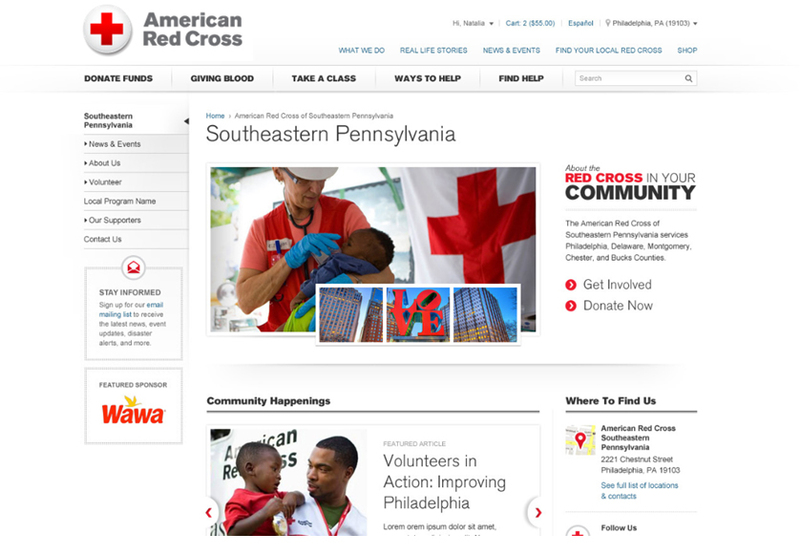 Here’s what RedCrossPhilly.org looks like now. In the end, all our hard work will make our website even easier for you to navigate, click and search for the information you need and easier for us to continue to meet the needs of the people we serve.